When i was around 16 ( don't remember exactly ) while playing football indoor bare foot i hit the sharp corner of the wall the impact was just on my lateral cuneiform and the navicular . A midtarsal fault is a structural deformity in the foot and although it can be aggravated by trauma such as in sports, etc. physical therapy can be helpful for short term relief. Any physical therapy that reduces inflammation would be fine and that could be left up to the physical therapist that you visit in your home country. Since a midtarsal fault generally occurs in people who have flat feet and thus their arch collapses, the best way to approach this problem on a permanent basis is to wear an orthotic or arch support in an effort to keep the arch from collapsing. Wearing an orthotic is the equivalent of wearing prescription eye glasses to give you better vision. As long as you wear them they will do the job; if you stop wearing them your foot pain will return. 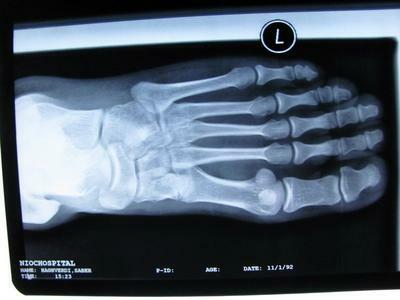 Because of your young age you need to have conditions such as tendonitis and perhaps even a stress fracture ruled out. 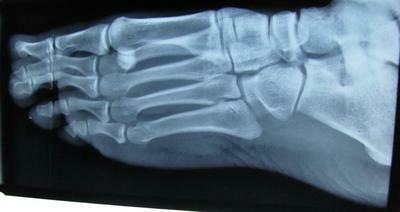 Midtarsal fault is a condition that most doctors not specifically trained in pathology of the foot will fail to make. So, if you try an orthotic and over a period of time your symptoms subside then you know a midtarsal fault is probably what you are suffering from.